So what are you getting? 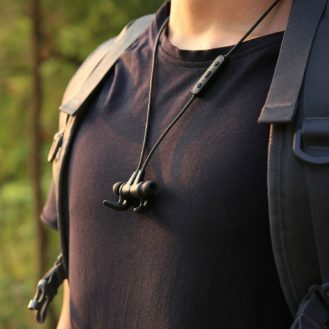 One component is the AUKEY EP-B40 Latitude wireless ear buds, which currently go for $25 over at Amazon. These sweat-resistant headphones are ready for your workouts, your commute, or at 8 hours of battery life, most of your flights. When you need to slip them off, the two buds are magnetic for easy handling. These ear buds support the Bluetooth 4.1 and aptX protocols for a battery efficient yet top quality audio connection to your host device. Just as you'd expect, the inline remote lets you skip songs, play/pause, change the volume, and manage calls without pulling out your phone. The 6th generation cVc microphone ensures the best quality when you're talking on the phone, too. If you don't want to wait—or you don't win—you can get an $8 discount on Amazon (for a final price of $16.99) with the code IZJM7G4Q. It expires at 11:59pm Pacific on August 20th. 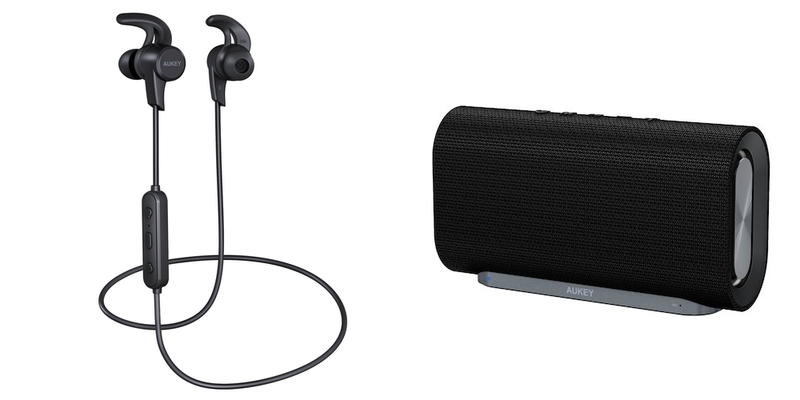 The other part of this bundle is the SK-M30 Eclipse wireless speaker, which costs $50 on Amazon. This handsome speaker can really fill up a room with quality audio that doesn't skimp on the bass. It features two 10W drivers and passive radiators along with all the niceties you're looking for in a portable speaker. It supports Bluetooth 4.2 connections for maximum battery efficiency, which along with 4000 mAh battery is why it boasts the ability to stay alive for over 12 hours of continuous play. Included is a 3.5mm audio cable in case you're using a legacy device or don't feel like utilizing the full extent of its 33 foot wireless range. The speaker charges with familiar microUSB cables. 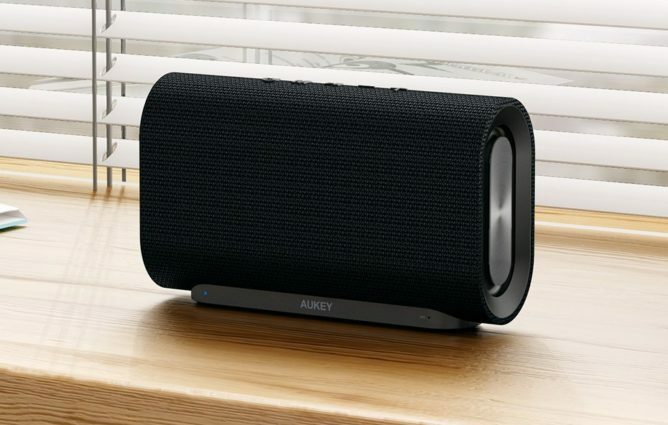 Just as with the ear buds, if you're impatient or don't win you can buy the speaker at a discounted price of $39.99 (originally $50) with the code 6M2X97RE at Amazon until midnight on August 20th. The contest will run until 11:59pm Pacific time on Friday, August 18th. You must have a US shipping address to win. Enter below and don't forget to stop by each day to get daily bonus entries.